Most of Alex’ photography consists of color landscapes. He is obsessed with the relationship between artificial and natural elements within the environment, and within our culture. His aerial photography has taken him across the U.S. and around the world, looking at the infrastructure and other marks humans paint across the earth’s surface — sometimes unwittingly, but increasingly by design. He has recently been documenting the elaborate campsites that serve as “home” for citizens of Black Rock City, the temporary desert metropolis built each summer for Burning Man. Alex is also working on The New Arctic, a long-term collaborative project to document Arctic communities that are in flux due to climate change. In addition to his fine art work, Alex works selectively in photojournalism and commercial photography, taking on print and web projects that hold particular interest for him. His work has been featured in National Geographic, Politico, The Guardian, JPG, Details; a myriad of websites including Wired, Ain’t-Bad, Business Insider, and Design Taxi; and he has produced numerous photo essays for public radio’s Marketplace. Nearly 200 of Alex’ photographs are featured in the Encyclopedia of New York City, published in 2010. Alex earned his B.A. at Princeton University and his M.F.A. from the School of Visual Arts in New York. 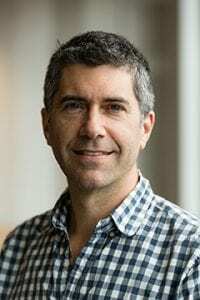 He has been teaching photography at MICA / The Maryland Institute College of Art since 2003, and served as MICA’s Associate Dean for Design and Media Studies from 2011 to 2018. Previously, Alex taught photography and digital imaging at NYU, as well as film and video production at SVA. He has also served as the director of the photography program at the JCC in Manhattan.